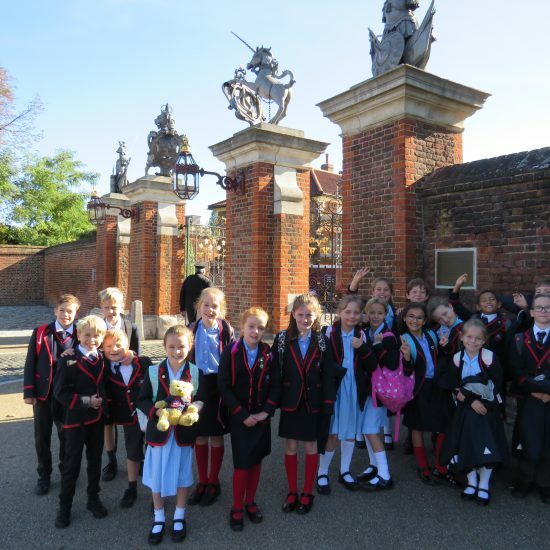 A glorious Autumn day in Hampton Court Palace! 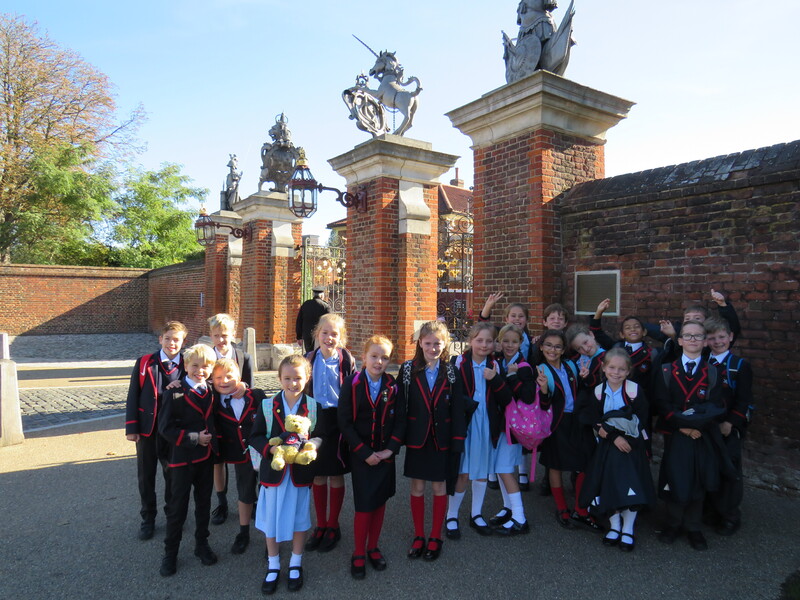 After we received our white wristbands in Clore Learning Centre, we set off to see the Rose Garden and The Maze. 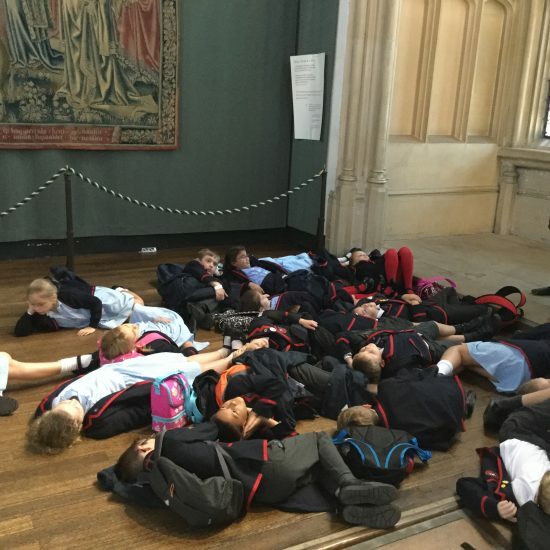 Having some time before our first workshop, Year 4 went in to see the Young Henry’s exhibition to learn about his life when he was married to his first wife, Catherine of Aragon. The children were praised by State Apartments Warden for their sensible behaviour so Miss Jezierska was very pleased. At 11:45, a costumer presenter took us back in time to the 15th century and we explored the notion of hierarchy and status within the Tudor Court and how those were reflected in the buildings of the palace. 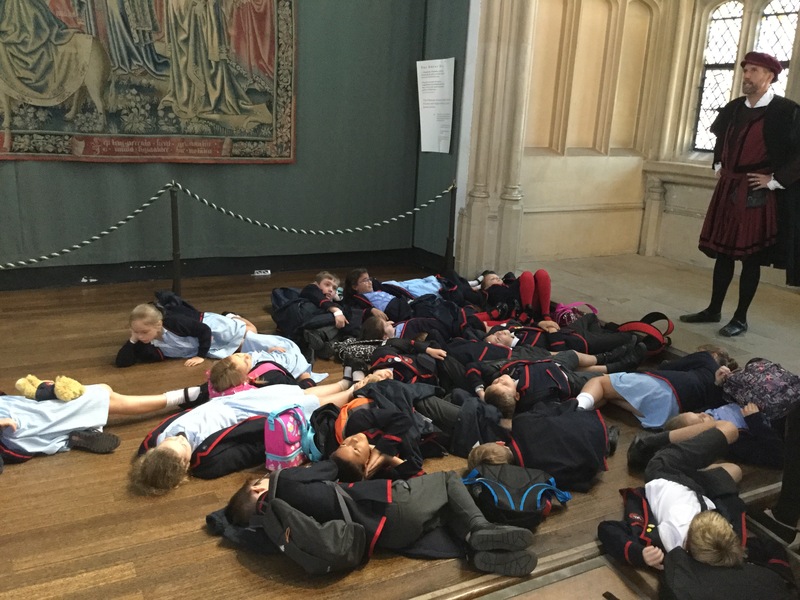 Year 4 had a chance to pretend to be the king’s servants and they learnt how to show respect to the royals. It was so much fun! As it was sunny and warm, we had a picnic on the grass in front of the palace. Finally, in the afternoon, we had another workshop – using replica objects (based on historical artefacts), we constructed balanced opinion of Henry VIII. It was a brilliant way to explore how evidence can be used to draw conclusions about the past and understand its limitations. 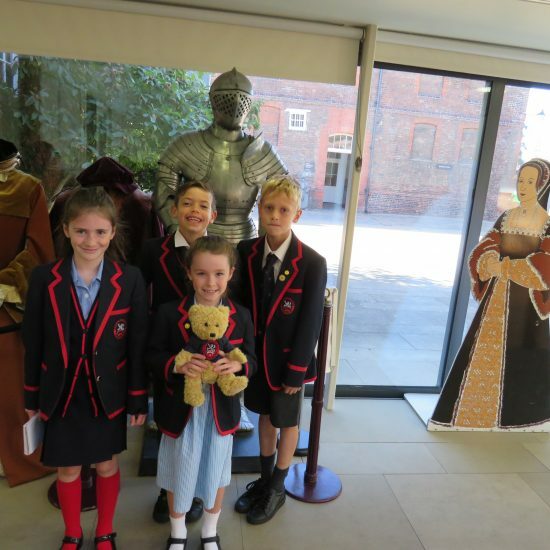 We found out what kind of person King Henry VIII really was…. 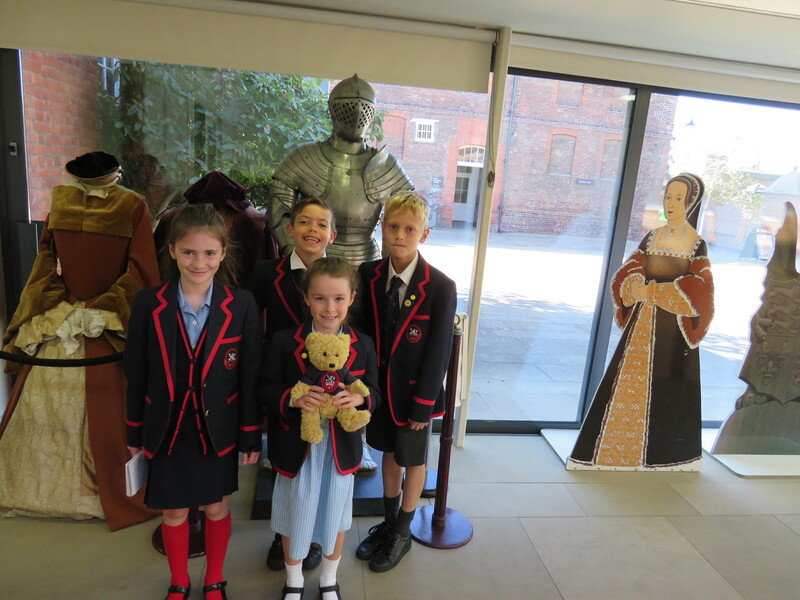 The children are extremely passionate about the Tudors and keen to learn many new facts about them so they asked many questions. What a wonderful trip that was!